Prior to the yet to be concluded 2019 general elections, two critical Bills that would have given a strong legal background to push further for e-Voting in Nigeria suffered rejection by the President as assents were declined. The Bills were Electoral Act Bill which has strong window for e-Voting and the Digital Rights Bill which apart from seeking to protect the rights of people online, also supports digital inclusion crusade which may lead to adoption of e-Voting going forward. 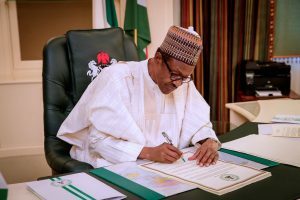 Already, leading stakeholders in both the civil society movement and telecommunications sector have continued to react to the refusal of President Muhammadu Buhari to sign the Digital Rights Bill into law, more than six weeks after it was presented to him by the National Assembly. Ogunbanjo called on Nigerians to support members of the National Assembly in putting pressure on the president to sign the bill so as to further rely on the provisions to make credible case for e-Voting revolution in Nigeria. “The Digital Rights Bill provides for the protection of human rights online, protect internet users from infringement of their fundamental freedoms and guarantee the application of human rights for digital platform users. “The bill seeks to guarantee human rights within the context of emerging innovative technologies, security concerns, increasing citizen participation in governance and democratic processes. The bill, when passed into law, according to its promoters, was expected to attract Foreign Direct Investment (FDI) from global technology companies, aside strengthening the Nigeria technology industry by ensuring there is a positive regulatory environment.